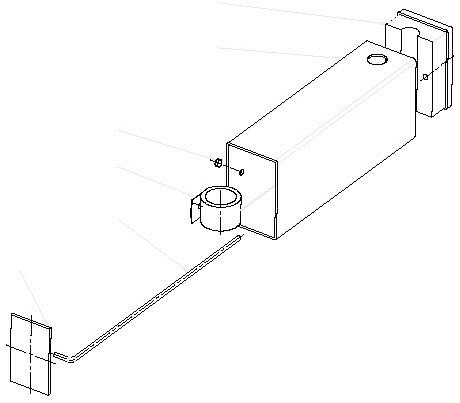 Long distances are covered an the chassis rail, load manipulations with the trolley. 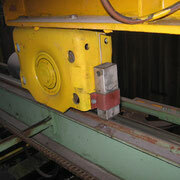 The trolley drive is generally made for faster movements than the chassis rail. 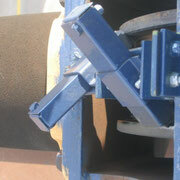 Chassis and trolley are equipped with flanged wheels and supporting rollers. 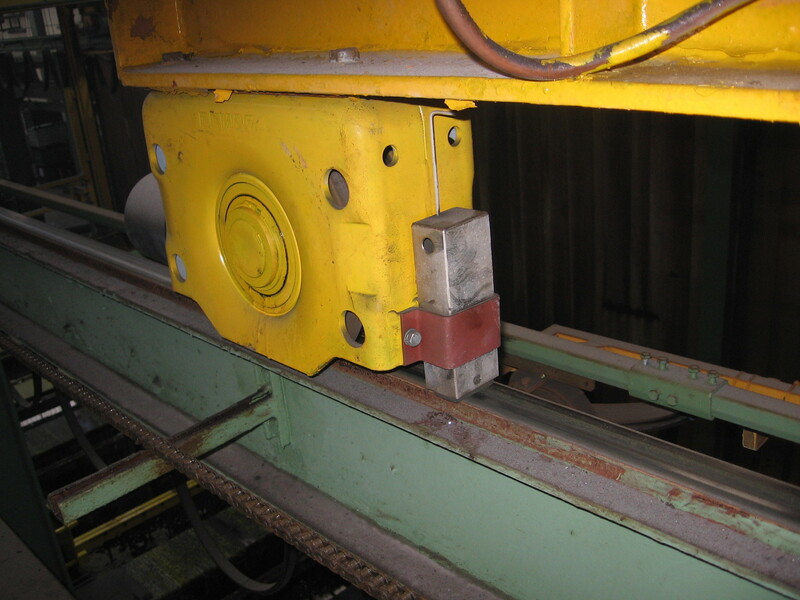 They are driven by electric motors, the wheels are exposed to large loads due to friction wear on the wheel-rail contact point. 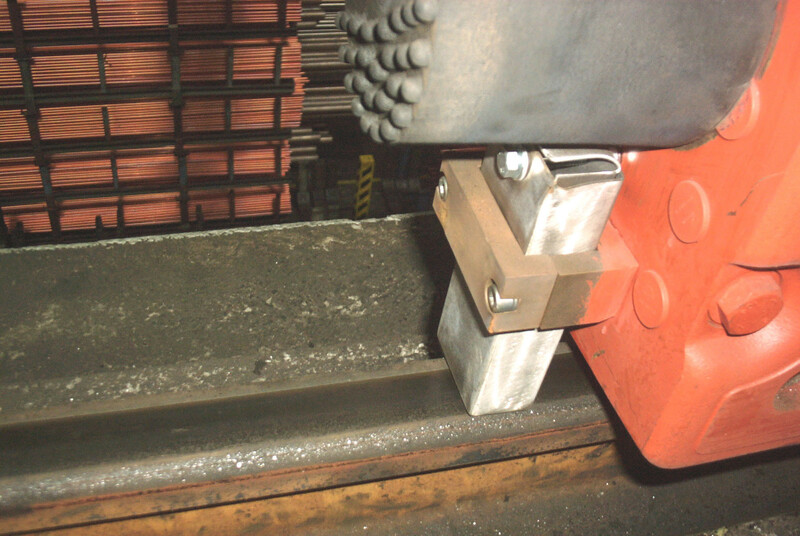 High wheel and rail wear on treads or rail head. 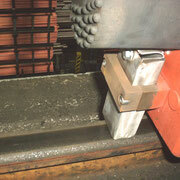 A loss of friction through strain hardening or flaking of the rail can be observed. The high danger of slipping leads to uncertain breaking distances, starting slip, slip-stick effects. High costs and long waiting periods for rail repair (welding, grinding, exchanging) and wheel change. 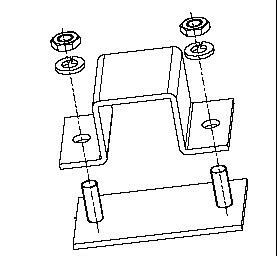 Equipment with adhesive blocks "10035" in mountings "H0030" with consumption display. 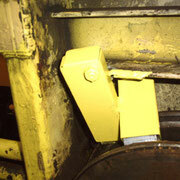 The adhesive blocks 10035 are mounted to the rail and protect it from wear. They coat the rail and tread maintenance-free with a dry lubricant. 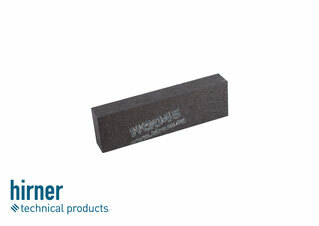 The coating enhances a constant friction between wheel and rail of about 0,3 - 0,5. At the same time wheels and rails are protected from wear. 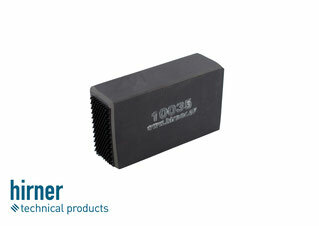 Side effects of the wear protective adhesive blocks "10035" are increased smoothness and freedom from maintenance. 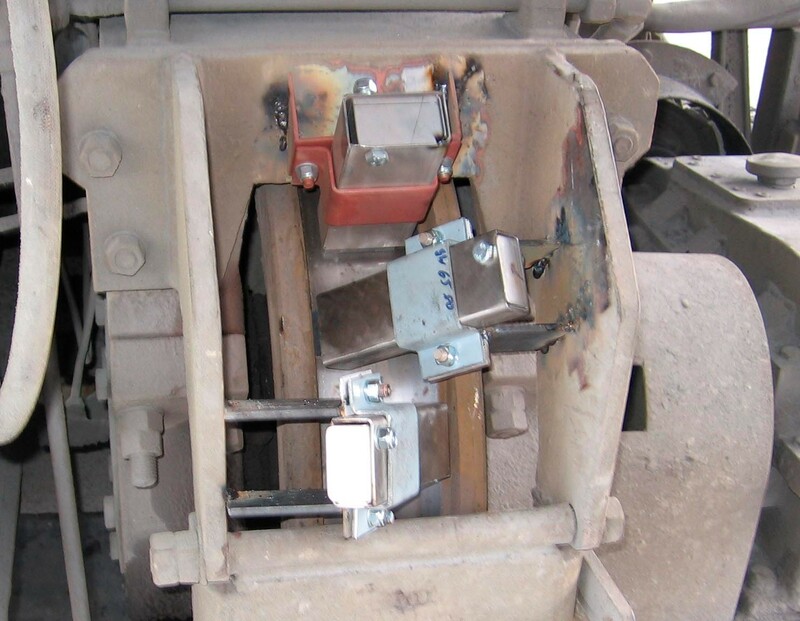 Due to uneven loads the wheels tend to climb the rail flank. 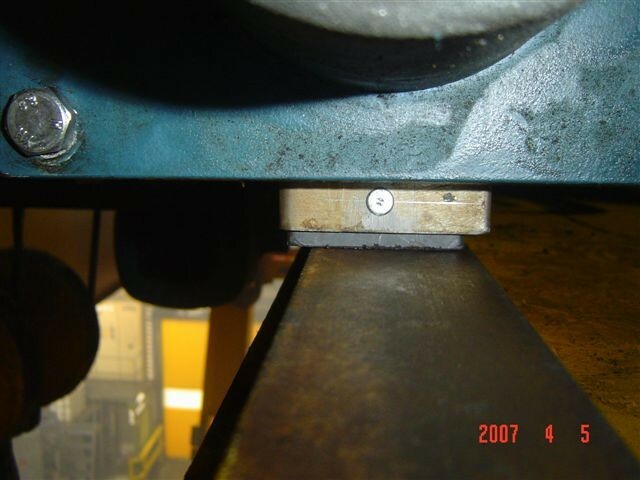 Here, the flanges are extremely stressed by friction wear. 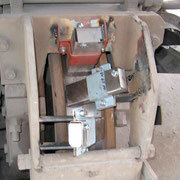 This results in grading and rolling of rail flanks and abrasion on flanges. 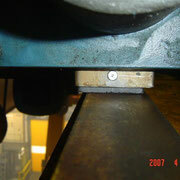 The consequences are high repair costs and uneven crane movement. 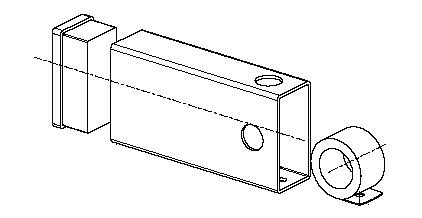 Equipment with lubricating blocks "HG045" or in cases of high wear with lubricating blocks "10036". 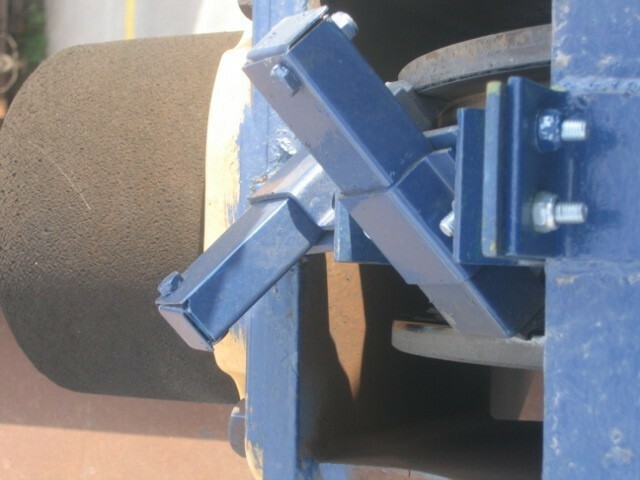 The blocks are directly mounted on flanges (2 pieces per wheel) and coat maintenance low with dry lubricant. 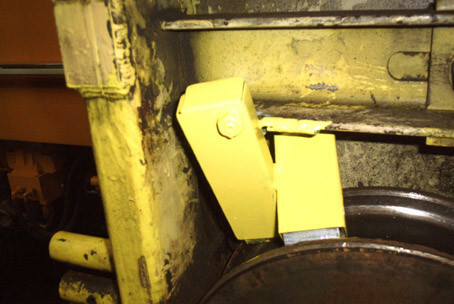 Since mostly welded rails are used, lubricating blocks can also be mounted on the rails. Advantage: Need for less lubricating blocks!